Combine flour, baking soda, and salt in small bowl. Beat brown sugar, butter, and granulated sugar in large mixing bowl until creamy. Beat in eggs, milk, and vanilla extract. Gradually beat in flour mixture. Stir in oats and chocolate chips. Drop by rounded tablespoon onto ungreased baking sheets. 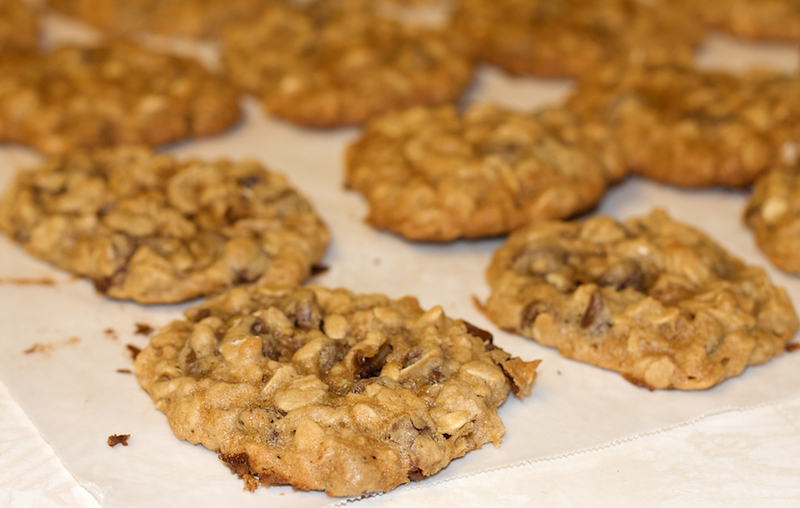 Bake in preheated 375 degree oven for 9 to 10 minutes for chewy cookies or 12 to 13 minutes for crispy cookies. Let stand for 1 minute; move to wire racks to cool completely. Makes about 4 dozen cookies.